Home Remodeling vs. Moving - Eby Exteriors, Inc.
Should you stay and improve your home or pack up and move? Whether you need more space for your growing family or your home is in need of repairs, regardless of the reason, one thing is for sure: something needs to change. However, it doesn’t necessarily have to be your zip code. 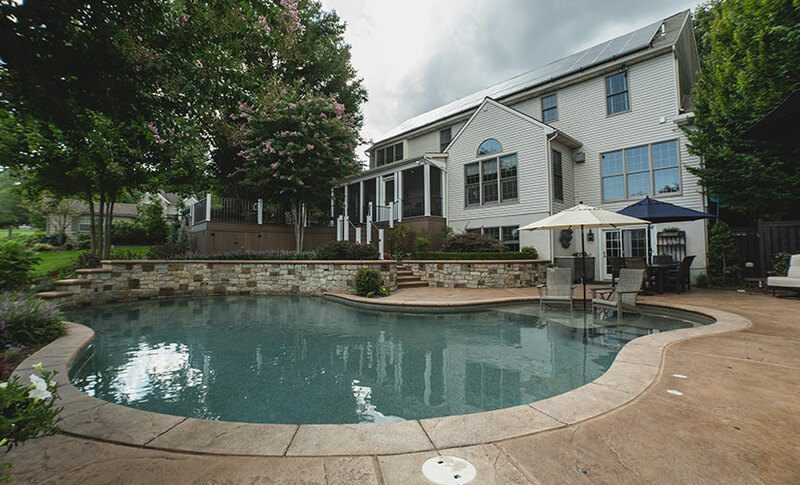 At Eby Exteriors, we’ve remodeled hundreds of homes and have seen first-hand the positive impact home remodeling can have on the lives of homeowners throughout Lancaster County and the surrounding areas. One of the major benefits of home additions or custom home remodeling is the ability to remain in the area you love and the neighborhood you’ve come to call “home.” When you chose your house and the area you now live, you chose it for a reason. Moving to a new house may mean moving away from family and friends, which is all the more reason to choose an experienced home improvement contractor over a realtor and stay put. Very few people are able to find everything they want in a house. The kitchen and baths may be outdated, closet space may be limited, the floors may be carpeted, and the list goes on. Sure, a new home may be “new,” but the chances of it checking everything off your must-have list are slim at best. Home remodeling allows you to add amenities and customize your home to your exact specifications. Remodeling your home also allows you to experience a fresh start. Take out everything old and outdated and you’ll have a clean slate to work with. While moving may provide you with a similar opportunity, remodeling your current home gives you a bevy of options to get creative and create the space of your dreams. In most cases, updating a home is more affordable than buying a new one. While many people view home additions as a costly endeavor, the cost of remodeling a home is usually less than the market price of a new home. Plus, you have to factor in realtor commissions, closing costs, and beginning anew with an even higher mortgage payment. In many cases, remodeling a home simply makes more sense from a financial and practicality perspective. With home prices on the rise, remodeling may be a no-brainer. A new home in a new location may be great for your family, but it may also mean different school districts, longer commute times, and a poorer quality of life. If you absolutely love where your home is located and all of the above factors, then contacting a professional home improvement contractor rather than a realtor is definitely the way to go. If you’re considering a move, it’s important to carefully weigh your options before making a final decision. If you’re not relocating for your career, remodeling your current home may be the best option for you and your family. A home remodel will allow you to stay comfortably nestled in the home where so many memories have been made and transform it into a space you can enjoy for years to come. Understand the scope of the project and be as specific as possible about your ideas when discussing them with prospective contractors and designers. Get referrals from neighbors, friends, or family with experience dealing with a certain contractor. Research the average remodeling costs in your community to better compare rates. Compare the cost of a remodel with the cost of moving into a new home. It’s important to keep moving costs, closing costs, realtor commissions, and other factors in mind. Before signing a contract with a home improvement contractor, meet with the team who will be performing the work on your home to ensure proper communication throughout the project. Are you ready to update your house and transform it into your dream home? Contact Eby Exteriors for the very best remodeling services in all of Lancaster and the surrounding areas. Call (717) 733-9142 for a free consultation today! "You guys are the best. We are thrilled with everything. Whenever I needed you, you were there and have done a great job! "